How Do Stars Go Rogue? Rogue stars are moving so quickly they’re leaving the Milky Way, and never coming back. How in the Universe could this happen? Stars are built with the lightest elements in the Universe, hydrogen and helium, but they contain an incomprehensible amount of mass. Our Sun is made of 2 x 10^30 kgs of stuff. That’s a 2 followed by 30 zeros. That’s 330,000 times more stuff than the Earth. You would think it’d be a bit of challenge to throw around something that massive, but there are events in the Universe which are so catastrophic, they can kick a star so hard in the pills that it hits galactic escape velocity. Rogue, or hypervelocity stars are moving so quickly they’re leaving the Milky Way, and never coming back. They’ve got a one-way ticket to galactic voidsville. The velocity needed depends on the location, you’d need to be traveling close to 500 kilometers per second. That’s more than twice the speed the Solar System is going as it orbits the centre of the Milky Way. There are a few ways you can generate enough kick to fire a star right out of the park. They tend to be some of the most extreme events and locations in the Universe. Like Supernovae, and their big brothers, gamma ray bursts. Supernovae occur when a massive star runs out of hydrogen, keeps fusing up the periodic table of elements until it reaches iron. Because iron doesn’t allow it to generate any energy, the star’s gravity collapses it. In a fraction of a second, the star detonates, and anything nearby is incinerated. But what if you happen to be in a binary orbit with a star that suddenly vaporizes in a supernova explosion? That companion star is flung outward with tremendous velocity, like it was fired from a sling, clocking up to 1,200 km/s. That’s enough velocity to escape the pull of the Milky Way. Huzzah! Onward, to adventure! Ahh, crap… please do not be pointed at the Earth? This artist’s impression shows the dust and gas around the double star system GG Tauri-A. Another way to blast a star out of the Milky Way is by flying it too close to Kevin, the supermassive black hole at the heart of the galaxy. And for the bonus round, astronomers recently discovered stars rocketing away from the galactic core as fast as 900 km/s. It’s believed that these travelers were actually part of a binary system. Their partner was consumed by the Milky Way’s supermassive black hole, and the other is whipped out of the galaxy in a gravitational jai halai scoop. Interestingly, the most common way to get flung out of your galaxy occurs in a galactic collision. Check out this animation of two galaxies banging together. See the spray of stars flung out in long tidal tails? Billions of stars will get ejected when the Milky Way hammers noodle first into Andromeda. A recent study suggests half the stars in the Universe are rogue stars, with no galaxies of their own. Either kicked out of their host galaxy, or possibly formed from a cloud of hydrogen gas, flying out in the void. They are also particularly dangerous to Carol Danvers. Considering the enormous mass of a star, it’s pretty amazing that there are events so catastrophic they can kick entire stars right out of our own galaxy. What do you think life would be like orbiting a hypervelocity star? Tell us your thoughts in the comments below. Have you ever noticed that everything in space is a sphere? The Sun, the Earth, the Moon and the other planets and their moons… all spheres. Except for the stuff which isn’t spheres. What’s going on? 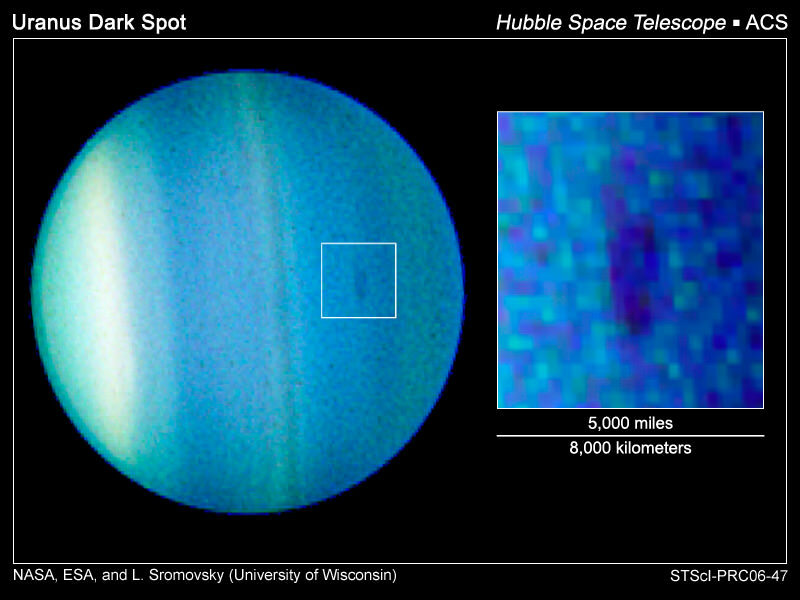 Have you noticed that a good portion of things in space are shaped like a sphere? Stars, planets, and moons are all spherical. Why? It all comes down to gravity. All the atoms in an object pull towards a common center of gravity, and they’re resisted outwards by whatever force is holding them apart. The final result could be a sphere… but not always, as we’re about to learn. Consider a glass of water. If you could see the individual molecules jostling around, you’d see them trying to fit in as snugly as they can, tension making the top of the water smooth and even. Imagine a planet made entirely of water. If there were no winds, it would be perfectly smooth. The water molecules on the north pole are pulling towards the molecules on the south pole. The ones on the left are pulling towards the right. With all points pulling towards the center of the mass you would get a perfect sphere. Gravity and surface tension pull it in, and molecular forces are pushing it outward. If you could hold this massive water droplet in an environment where it would remain undisturbed, eventually the water would reach a perfect balance. This is known as “hydrostatic equilibrium”. Stars, planets and moons can be made of gas, ice or rock. Get enough mass in one area, and it’s going to pull all that stuff into a roughly spherical shape. Less massive objects, such as asteroids, comets, and smaller moons have less gravity, so they may not pull into perfect spheres. As you know, most of the celestial bodies we’ve mentioned rotate on an axis, and guess what, those ones aren’t actually spheres either. The rapid rotation flattens out the middle, and makes them wider across the equator than from pole to pole. Earth is perfect example of this, and we call its shape an oblate spheroid. Jupiter is even more flattened because it spins more rapidly. 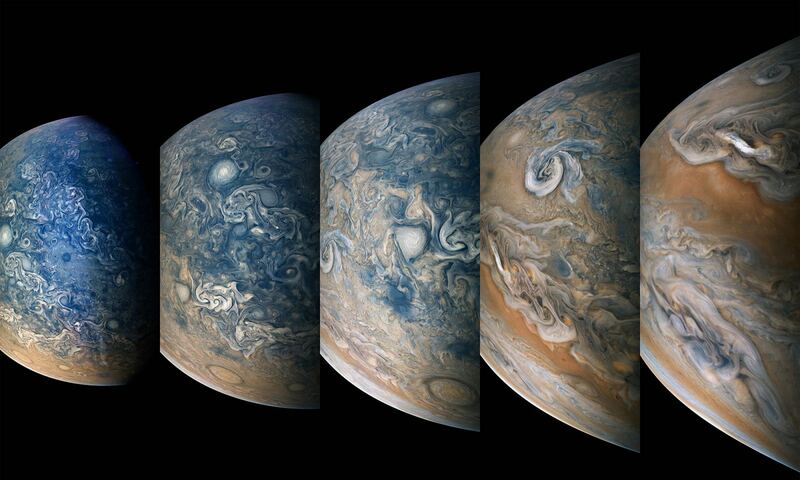 A day on Jupiter is a short 9.9 hours long. Which leaves it a distorted imperfect sphere at 71,500 km across the equator and just 66,900 from pole to pole. Stars are similar. Our Sun rotates slowly, so it’s almost a perfect sphere, but there are stars out there that spin very, very quickly. VFTS 102, a giant star in the Tarantula nebula is spinning 100 times faster than the Sun. Any faster and it would tear itself apart from centripetal forces. This oblate spheroid shape helps indicate why there are lots of flattened disks out there. This rapid spinning, where centripetal forces overcome gravitational attraction that creates this shape. You can see it in black hole accretion disks, solar systems, and galaxies. Objects tend to form into spheres. If they’re massive enough, they’ll overcome the forces preventing it. But… if they’re spinning rapidly enough, they’ll flatten out all the way into disks.